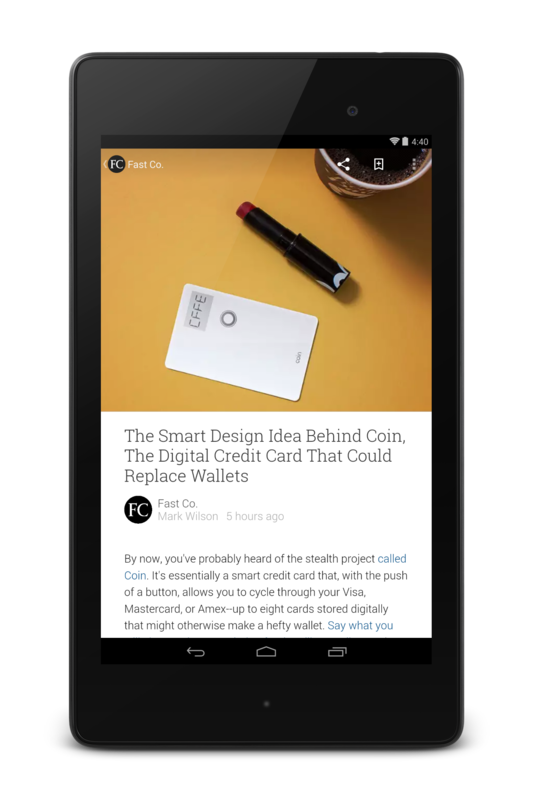 Google today launched Google Play Newsstand for Android, an app that brings together the current Google Play Magazines app available in the U.S., Canada, U.K. and Australia, as well as Google Currents, the company’s answer to apps like Flipboard. The Play Newsstand will feature about 1,900 free and paid publications. The selection ranges from newspapers like The Australian, The New York Times and The Wall Street Journal to magazines like The New Yorker, Vanity Fair and Wired and free blogs and news sites that have partnered with Google. Google says this new app will “put the news you care about most front and center and presents stories that interest you based on your tastes. The more you read the better it will get.” The app will automatically format blog posts and other sources for reading on a tablet or phone. 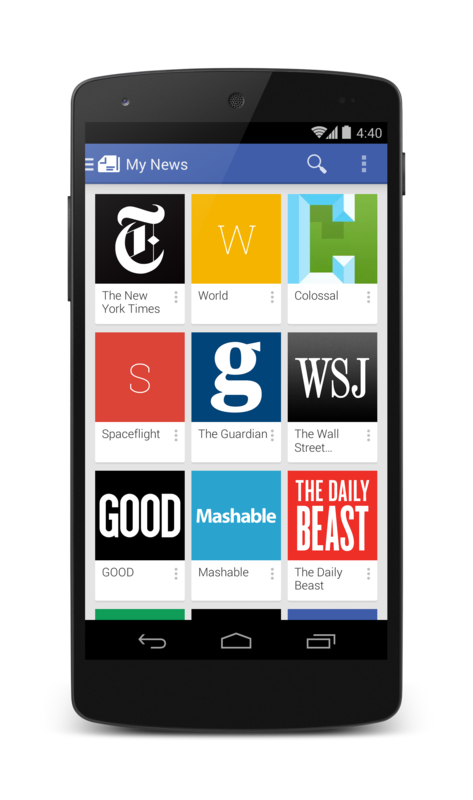 Users will be able to subscribe to new sources in the app and – for paid publications – in the Google Play store. Posts are cached on the device for offline reading. As a Google spokesperson told me, the app was developed by the same team as Currents and it will likely feel familiar to existing Currents users. Over the next few days, users in the U.S., Canada, U.K. and Australia (that is, all the countries where the old Google Play Magazines app was available) will be automatically upgraded to the new Newsstand app. Currents users can upgrade to Play Newsstand by downloading the app and all their news sources will be automatically transferred. Currents first launched about two years ago as a way to read free sources, but it also featured tools for publishers that allowed them to add their sites to the app and customize their appearance by adding feeds, photos and social updates. This publisher program, Google tells me, will continue.